That's one of the first things that hits you as you enter the Lee Valley Velodrome (aka 'The Pringle') at Queen Elizabeth Olympic Park in Stratford, and look down at the Siberian pine, 250 metre track which hosted so much British success at London 2012. My only previous experience of a velodrome was a taster session many years ago at (a freezing cold), Calshot velodrome near Southampton, which I have to say is damn scary when you get on it for the first time as a moderate triathlete cyclist - let alone one let loose on a bike with no brakes or gears and plenty of other equally nervous people wobbling around. 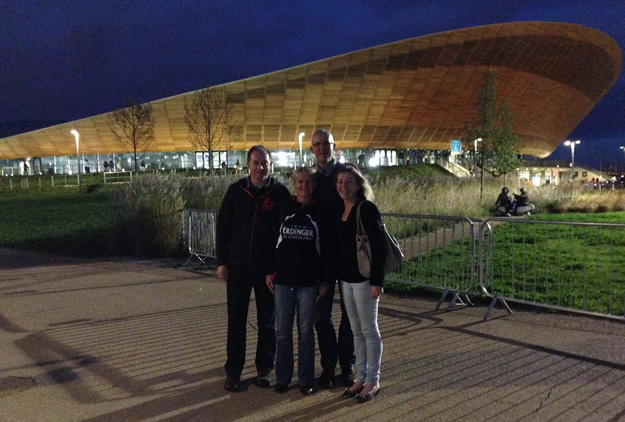 Anyway, no such worries on Saturday (for us at least), as we visited the gleaming temple of cycling at the London VeloPark to watch round one of the Revolution Series (www.cyclingrevolution.com). Having booked our tickets months ago, and never having watched one of these in person, we had no idea what to expect - and chances are, you are in the same position too - but what a great night of entertainment it proved to be. 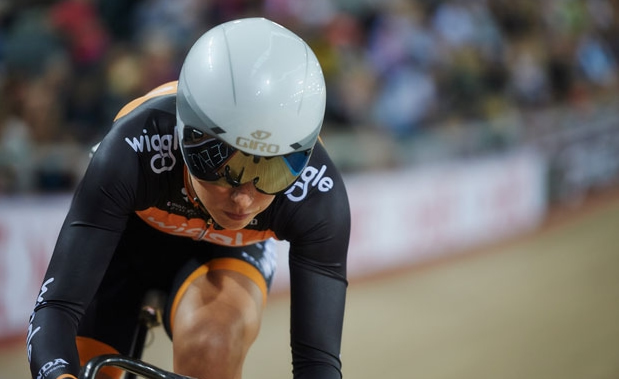 The marquee names on the programme were British superstar Laura Trott and arguably the greatest female cyclist ever, current Olympic road race champion Marianne Vos. 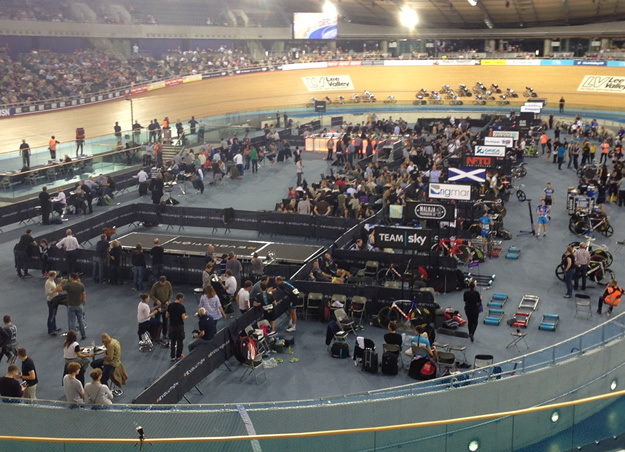 This was no two-women show however, also racing were Alex Dowsett, Adam Blythe, Katie Archibold, Steven Burke, Elinor Barker, Ben Swift, Andy Tennant and many more names familiar to even the casual observer of track cycling. Alongside the senior elite there are also 'Future Stars' races, comprising of the leading Junior boy's and girl's competing across a range of different races to develop talent for the future. The event kicked off at seven o'clock and continued, almost without pause, for the next three and a half hours. Sprints, Points races, Elimination races, Scratch races, a frankly scary looking 1km Madison Time Trial (56 seconds for 1km anyone?! ), an Australian Pursuit - in total there must have been close to 20 different events across the evening. Certainly no chance too get bored with the non-stop action. 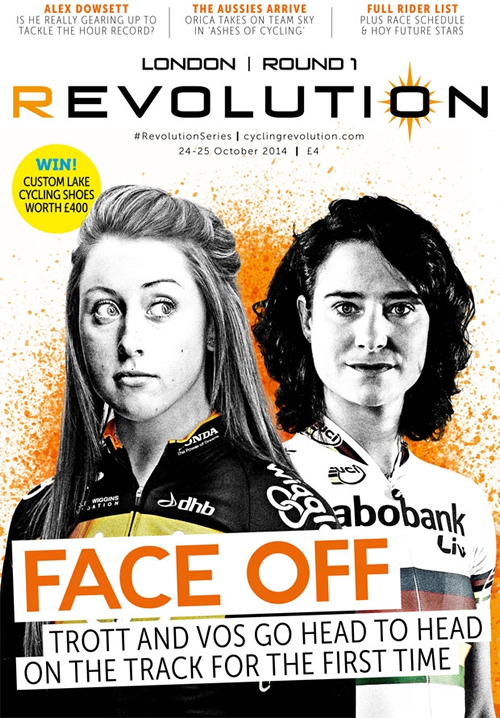 If it was to be a 'Face Off' between Trott and Vos, well, Laura took home the honours. All of them. Winning all three of the races we saw (Points, Australian Pursuit, Devil/Scratch), she took her weekend total to eight wins from eight across the three sessions (Friday evening, Saturday afternoon, Saturday evening), and she certainly has a grace, power and awareness on the track that leaves you in little doubt that she has everything under control and all times - it was truly very, very impressive to watch, and she is clearly the fans favourite. We bought our tickets several months in advance (just under £35 / head), and had superb seats on the front row of the upper tier looking down on the finish straight. The 'Pringle' itself is very impressive, and the seats are surprsingly spacious. At £10/hour of entertainment, we had a great night out and would highly recommend it and plan to return. 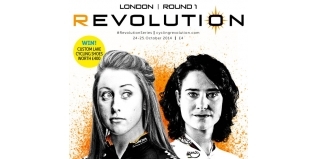 Details of Round 2-5 of the 2014/15 Revolution Series (which visits Manchester, Glasgow and London) can be found HERE, while Lee Valley will also host the Track Cycling World Cup (www.trackworldcup.co.uk), from 5th-7th December.